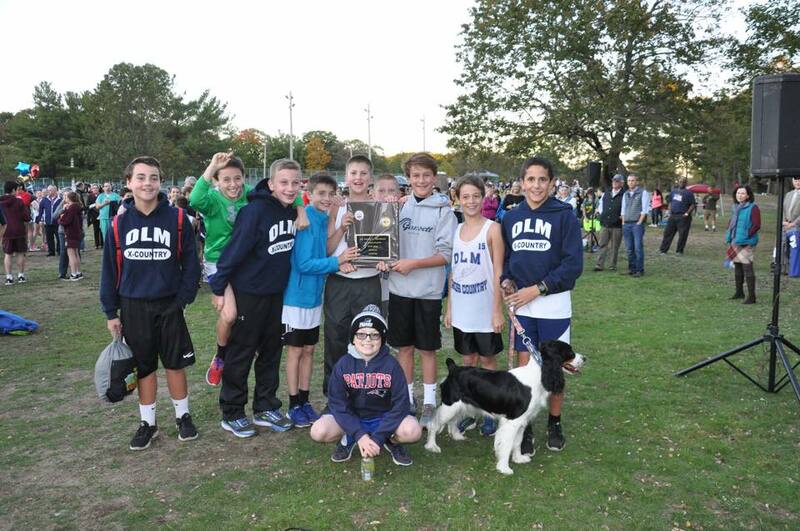 The OLM Middle School Cross Country Boys’ Team won its third State Title in five years at the CAL State Meet at Slater Park in Pawtucket on Wednesday, October 12. 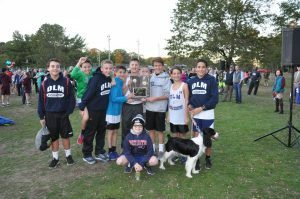 The OLM Boys also captured the South Division Catholic Athletic League Title for the fourth consecutive season, after winning their weekly meets at Goddard Park. 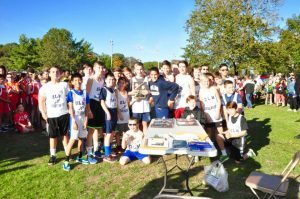 Seventh grader David Lynch of East Greenwich was the top OLM runner, finishing sixth overall at the State Meet. 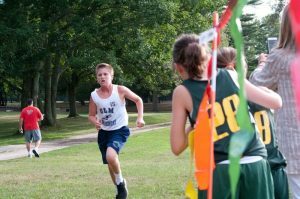 Also on the boys’ side for OLM, Brian Garrepy of Warwick finished 8th with Hayden Clare of North Kingstown close behind at 9th. John Colitz of East Greenwich place 23rd and Dylan Brunner of Warwick 26th. 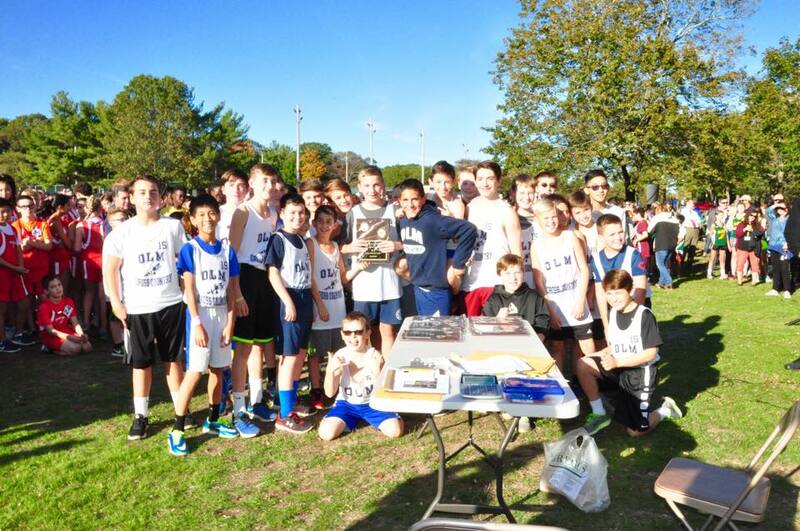 OLM Finished first out of 23 teams which included 234 boys in total. The OLM Girls, who finished the season in third place in the CAL South Division, placed 10th out of 23 schools at the CAL State Meet. 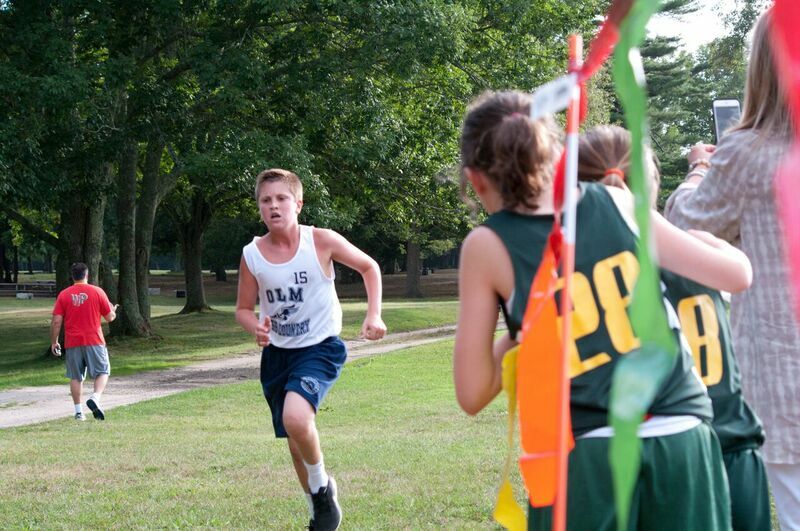 OLM was led by sixth grader Morgan Verdi of North Kingstown, who placed 16th. 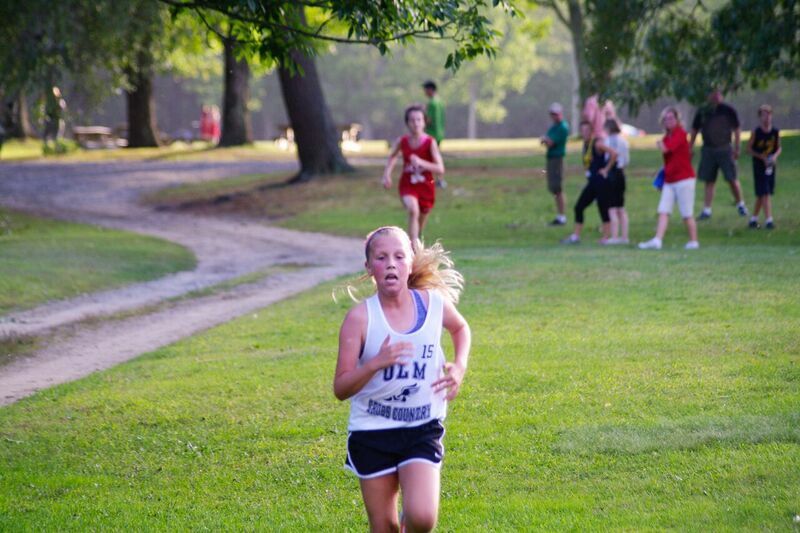 Other top OLM girls finishers on the girls’ side at Slater Park included Paxton Miga of Warwick, 55th, Sophia Bianchi of North Kingstown 80th, Kiley Hayes of Warwick 85th and Madison Abood of Coventry 93rd, out of a total of 207 girls overall. 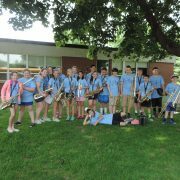 The Under the direction of coaches Colleen Clare-Coen, Rosa Ciunci and Adam Couto, the 53 runners in grades 6, 7 and 8 have been practicing twice a week since August. 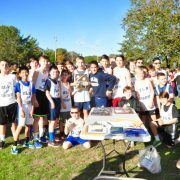 The team will hold its annual year-end banquet on November 6 at Quidnessett Country Club.